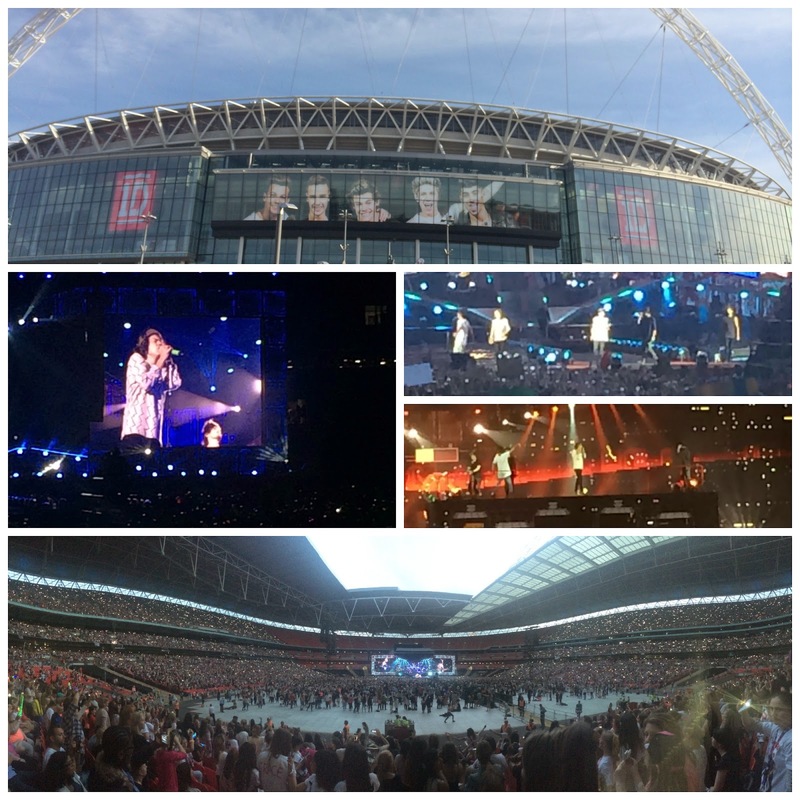 Beautiful You: Little Mix, One Direction & London! Little Mix, One Direction & London! First off I just want to say how sorry I am that I haven't blogged in over a week. I have no excuse for this except the fact that I left my laptop at uni and the fact that it was the first week of my summer and I wanted to relax a bit! I am also in the process of filming and editing my YouTube video for you all to see this weekend so I was quite busy! But however, I am back now so don't worry I will be posting with the normal schedule (Monday, Wednesday and Fridays)! So as many of you will know, if you follow me on any of my social media, I went to London last weekend for an end of uni and birthday celebration with my sister! We jam packed so much stuff in and I thought that I would share that with you! I left uni straight after my last exam to drive to Cardiff to see Little Mix and then straight to London the next day. 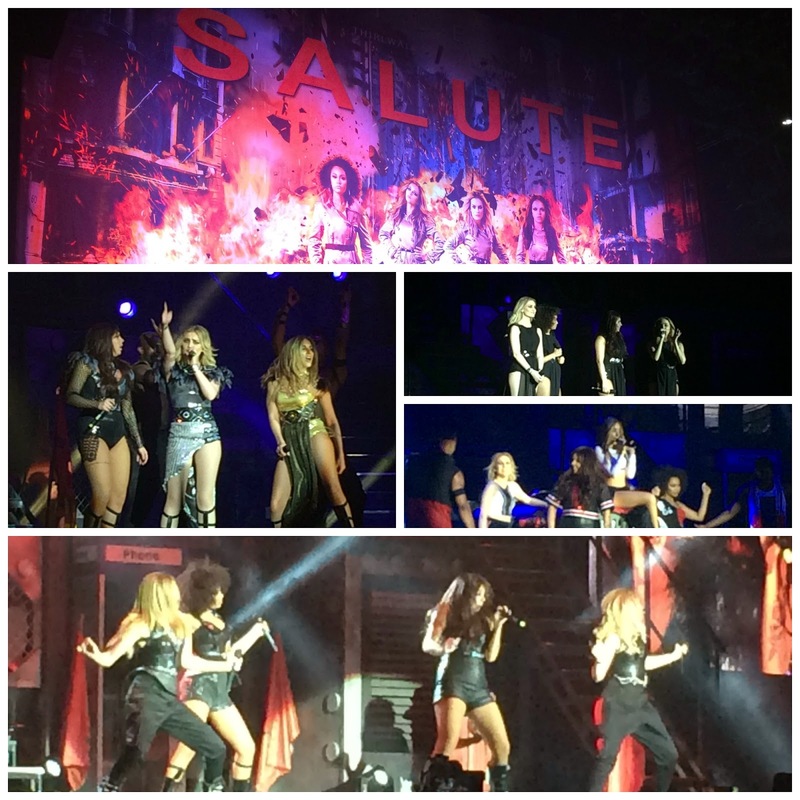 As I said, on the day of my last exam my sister and I drove to Cardiff to see Little Mix on their Salute tour. We only bought the tickets a few weeks before but I am really glad we did. Little Mix were fantastic live and I couldn't recommend seeing them more, they danced the whole way through and their vocals were still on point the whole production was brilliant. I will put a collage of the best photos I got below for you guys if you would like to have a look! Then last Friday we went straight to London as we were going to see One Direction that evening at Wembley Stadium! We were staying in a Premier Inn on the outskirts of Edgware so we checked in there and got ourselves ready for the evening, I didn't wear anything fancy as I was going to buy a t-shirt anyway! The we made our way there, we were going to get a taxi but then after talking to our step-dad who told us that we had to take the tube we changed our minds and we are so glad that we did! The whole experience of going to a massive event like that and being able to walk up the street with the stadium in front of you was something that I won't forget! Again their concert was fantastic, I have seen them three times and they just get better and better every single time. We didn't have the best view ever as we were sitting down but the atmosphere was out of this world, again I will put some pictures below so you guys can have a look! Then as I always go to London for events or to see friends we thought that we would be tourists for the day on Saturday so we booked to go to Madame Tussauds, go on The London Eye and to go to The Sea Life Centre! I loved Madame Tussauds because all of the wax works are amazing and they are so life like its quite scary. The best part for me was seeing the One Direction wax works but I love them so much and after seeing them live the night before, we had to! Next we went on the London Eye, I would do this all the time if I could, the views over London were spectacular and considering I had just got my new camera I was a bit snap happy but I thoroughly enjoyed the experience! Lastly we went to the Sea Life Centre, my sister had always wanted to do this so it was nice that we did. My favourite part was the penguins, they are the cutest things ever and one fell in the water and I got it on video and it was so funny! After that jam packed day we went to the theatre, I have always told my family how much I want to go and see Wicked and my amazing sister got me tickets for my birthday! We were sat in the dress circle and had the best view ever, I'd never had such good seats in the theatre before and I think that added to the experience. The musical was brilliant, the acting and singing were out of this world especially when she sang defying gravity, I think I may have cried a little! I would 100% recommend seeing Wicked if you haven't and you love musicals! Then to end the weekend we just went to Westfields in Shepards Bush on Sunday and did a little bit of shopping, I was insanely tired though and had no money left so the only thing I bought was a Boost Juice to try and wake myself up! Anyway, that was my amazing weekend and I thought that I would just share it with you guys, if you have done anything of these things then let me know what you thought in the comments below! I hope you enjoyed this blog post as always and I will be back on Wednesday with something beauty related hopefully! I hope that you are all subscribed to my YouTube channel ready for Saturday and if your not I will leave the link below for you so you can pop over and check it out! Hope you all had a lovely weekend and here's to a great week!